Orphaned early in life, the young Genghis was forced to scavenge as an outcast for survival on the most desolate fringes of the steppe world. He grew to maturity in a climate of extreme tribal turbulence, where he experienced every type of deprivation and violence. Amazingly he survived. Although illiterate, he learned to outwit and outfight the hostile tribes that threatened Mongol life, finally forming against all odds a grand steppe confederation of nomads. He organized his army rigorously on a decimal basis, as much to achieve political control as to ensure military discipline. Other than the large reserve of horses, the army did not travel with a cumbersome supply train. Each trooper had at least three remounts, when velocity dictated changing horses to cover distances at speeds inconceivable to the enemy. The Mongols lived off the horse; as they traveled, they milked and slaughtered for food. They consumed a steady diet of milk and yoghurt, drank the horse’s blood, and placed raw meat under the saddle to make it supple and edible. On multiple fronts across continents, Genghis khan waged wars of swift assault and terror, with no more than 100,000 horsemenconquering lands from the Pacific to Muscovy. 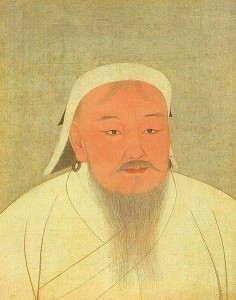 In order to train freshly recruited troops in Mongol military methods, Genghis khan would organize great hunting parties. Hecordoned off a vast area on which everal armies converged from different directions. The ensuing lengthy hunt was every bit as much a test of horsemanship as it was of hunting skills. The troops formed a great hunting ring, which, ever-constricting, drove the game before it. Strict military discipline was imposed; great care was taken that no animal escaped; and the severest penalties were meted out to anyone breaking rank. These maneuvers, entailing vigorous exertion, reconnaissance scouting, and hard riding, readied men for the hardships of war. Vital to the success of the great ring hunt were effective chain of command, accurate signaling, and rapid coordination of individuals and units. At the bloody climax, the frantic, trapped animals were slaughtered in great numbers. In China, Khubilai khan continued his grandfather’s tradition by conducting the ceremonial hunt at his royal park of Xanadu.The great spectacle of the large-scale ring hunt, with its displays of martial prowess, military weapons, and troop cohesion, served effectively as a deterrent against troublesome enemies or alternatively as a preliminary to punitive reprisal. But all was not war in the Mongol realm.Khubilai khan and his brother Hulegu, the Ilkhan of Persia, energetically set about reconstructing the lands the Mongols, barely two generations earlier, had utterly devastated. For the steppe nomad horse mobility and speed were paramount. To promote rapid commerce, roads shaded by willow trees were constructed, along which equestrian messengers could travel as fast as 250 miles a day. By far the most coveted items of trade were nasij (luxury cloths of gold-wrapped thread), traded to as far away as Edward III’s England. To produce these exquisite textiles,Yuan China and the Ilkhanate cooperated closely in the interchange of specialists from different ethnic backgrounds, who working alongside one another revitalized weaving techniques and created a climate of great artistic innovation. This comparative approach was further implemented in the spheres of metallurgy, agriculture, architecture, literature, medicine, and science. As a result of cross-cultural experimentation and far-flung trade, cluster diffusion of several technologies occurred, in which perhaps the most significant, printing, gunpowder, and cast-iron/steel technology, reached the Rhineland from eastern Asia in the fourteenth and fifteenth centuries. 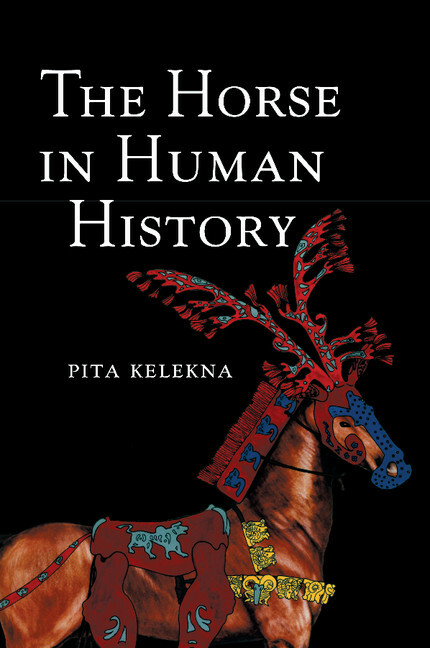 Just as earlier in the diffusion of silk, stirrups, and paper, once again the horse was the instrument of transmission. Technologically, these latest advances bridged the gap between the medieval and modern eras, driven by the horse-powered network pioneered by the Mongols.